Rosin vs. Resin: Which Is the Best Cannabis Concentrate? Cannabis is becoming a creative industry. Long gone are the days of rolling some leaves in a joint. Today, marijuana users are eating gummy bears made with marijuana and inhaling cannabis concentrate and marijuana oils. If you’re looking for new ways to use cannabis, consider trying resin and rosin. But wait — isn’t resin that gunk in your old pipe? And you probably never heard of rosin. But these two types of concentrate are some of the most widely used marijuana products today. If you want to branch off from joints and water pipes, cannabis concentrate is receiving constant innovation. Learn the differences between resin and rosin and which one is the best choice. You have heard the expression ‘sticky’ when discussing great cannabis, right? The stickiness comes from trichomes, and they grow on the leaves and flowers of female marijuana plants. Trichomes are powerful marijuana compounds that contain both psychoactive properties and provide medicinal benefits. Present in trichomes are terpenes, which give marijuana its classic flavor and scent. Trichomes are prevalent in resin. The marijuana plant produces resin to prevent the marijuana plant from getting eaten by insects. Resin is made up of two major structures: cannabinoids and terpenes. These factors provide amazing health benefits but are also potent substances. 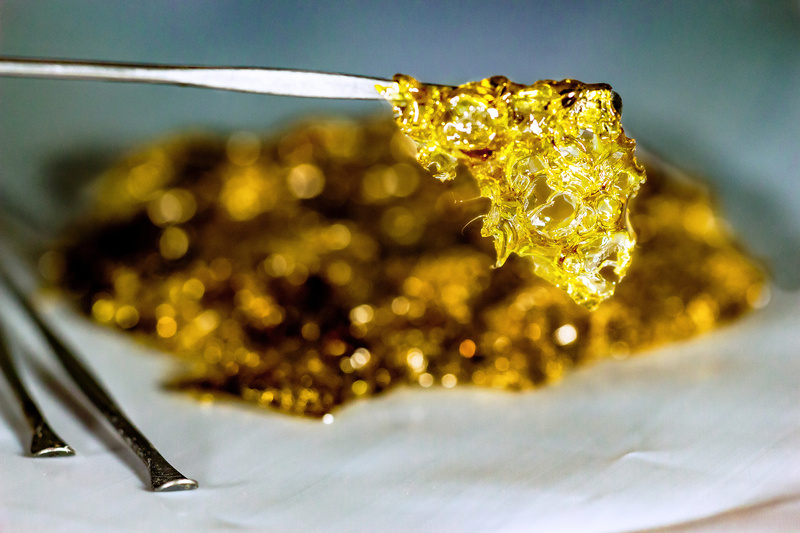 Live resin is extracted from frozen flowers. 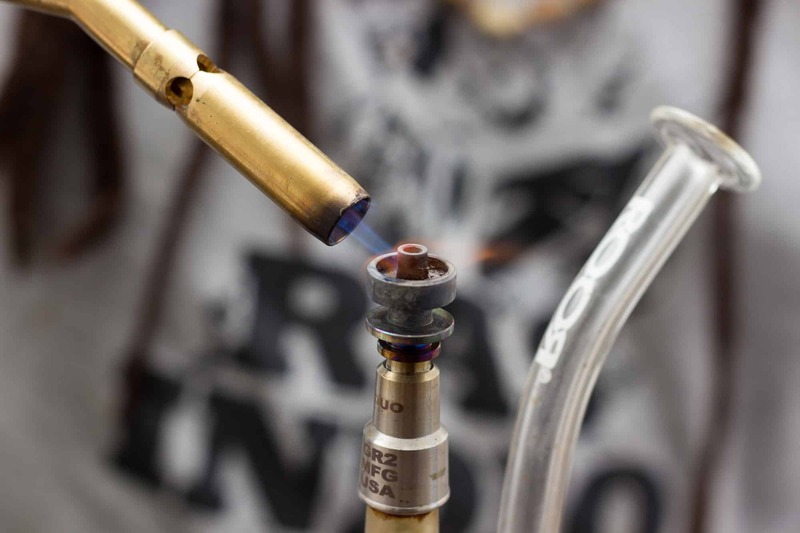 Butane hash oil is used to extract the resin from the plant. This results in a higher concentration of terpenes, resulting in a better taste and a better high. Rosin is a potent cannabis concentrate. It’s similar in consistency to other products such as ‘shatter.’ Since it’s not extracted with intricate solvents, any form of marijuana can be pressed into rosin. During the resin extraction process, rosin is also created. After marijuana is heated and press, rosin forms. Resin requires the use of intricate extraction methods, whereas rosin can be extracted at home. Rosin extraction is also easy; some dispensaries offer a chance for customers to press their own rosin. Like live resin, live rosin is an industry expert concentrate. 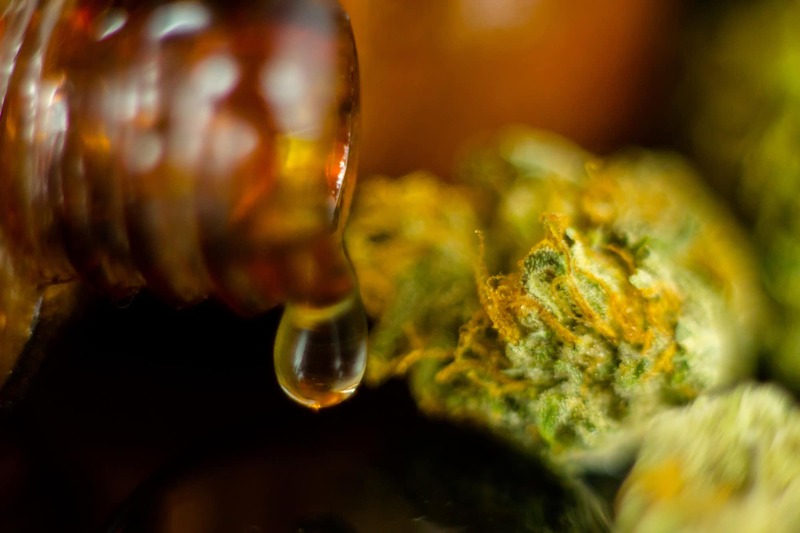 Rather than heating the flower and pressing it, you extract live resin before the flower is dried. This results in a higher concentration of terpenes. Terpenes are the compounds that give marijuana its distinctive flavor and taste. Therefore, live rosin tastes better than traditional rosin. Since there’s excess liquid in the cannabis during the extraction process, live rosin doesn’t contain any solvents. Resin and rosin are complex concentrates. But anyone can agree they’re both effective. But which one should you choose? Both are beneficial, but you can’t walk away with both. Read these pros and cons and determine the cannabis concentrate you’ll purchase on your next dispensary trip. Live resin and live rosin receive their potency due to the high amount of terpenes. But which has the highest concentration of terpenes? It’s difficult for a typical cannabis user to tell; each has their own extraction process that results in large amounts of terpenes. In this case, live resin wins. When extracted with butane hash oil, the terpene percentage is at 0.734%. Live rosin only contains 0.662%. Cannabis concentrate has been the rage these past few years. But more cannabis users are becoming weary because of the use of solvents. Solvents such as butane are dangerous; butane is accused of weakening the immune system, so consuming butane isn’t recommended for certain patients. For recreational and medicinal users, it’s important to use a concentrate that’s free of solvents. The best one is live rosin. 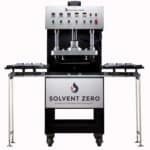 Since enough liquid is passed during the extraction process, an interfering solvent isn’t used. Even though the leaves aren’t dried, live resin requires a solvent to extract the concentrate. While recreational marijuana is always fun, discussing the medicinal benefits is always important. Even when solvents are used, a cannabis concentrate contains a high amount of terpenes that offer health benefits. In this argument, live resin is the winner. While some patients prefer using live rosin since there’s no solvent interference, live resin offers the most healing. This is because of the higher terpene concentration. Some common ailments live resin treats include anxiety, depression, nausea, lack of appetite, and insomnia. 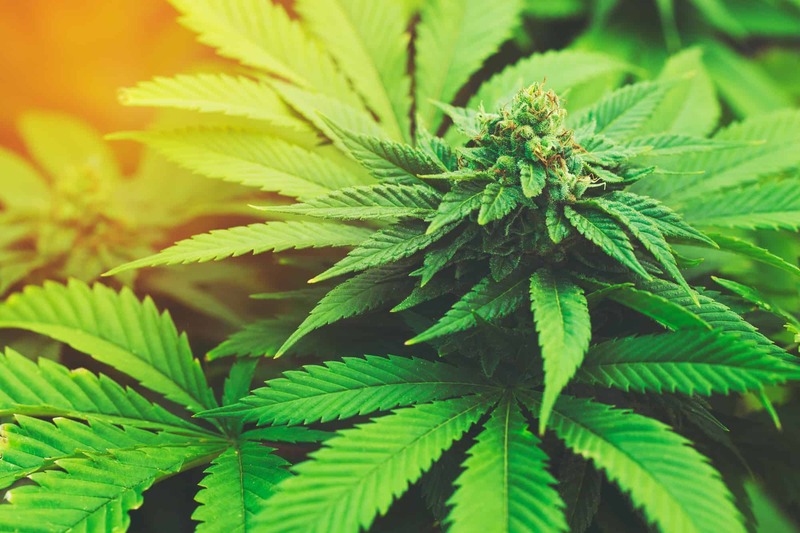 Those with weak immune systems, such as cancer patients and those with autoimmune disorders, should consult their doctor before trying live resin as therapy. We all want the good stuff, but we want it cheap. For the marijuana users who are looking for cannabis concentrate on a budget, which one should you pick? The answer is live rosin. Live rosin is much cheaper than live resin. The reason comes from the extraction process. Live resin requires the use of solvents and other intrusive equipment. The marijuana plant has to be kept at certain temperatures and requires a specific pressing process. Whereas live rosin is extracted much easier. The plant isn’t dried — rather, it’s heated and pressed. You also don’t need special equipment to create live rosin. You can also extract rosin at home. Which Cannabis Concentrate Will You Use? Concentrates are a revolutionary way to consume marijuana. They result in a ‘clean’ high due to high terpene concentration. Resin and rosin seem like similar concentrates. But both have their own benefits. Resin and rosin will work better for different marijuana users. They’re both extracted differently. Each is pressed with different methods to increase potency. Because of this fact, each has their own benefits. But no matter which concentrates you buy, understand you’re buying a high-quality concentrate. 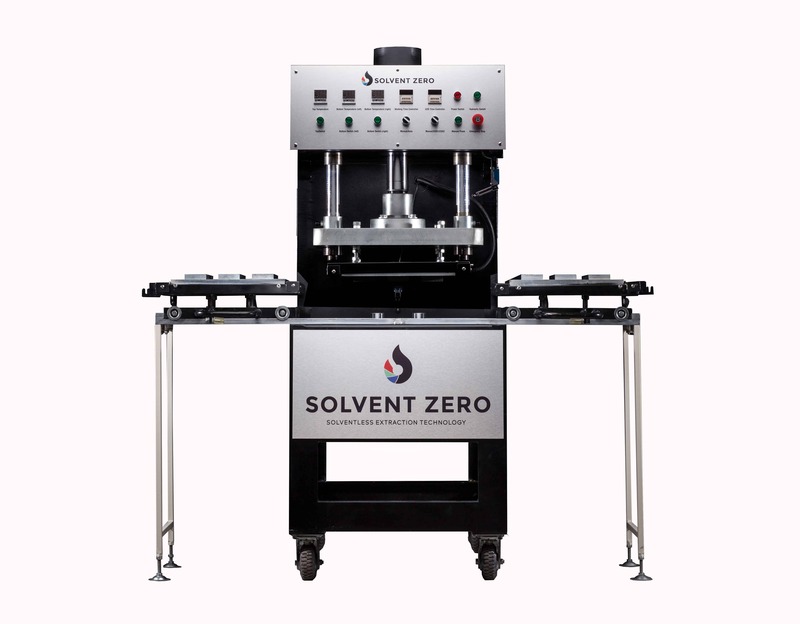 Do you need solvent-less technology to produce quality concentrate? Take a look at our products. The Rosin Authority blog is intended for persons over the age of 21.